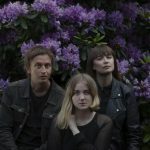 Cats of Transnistria are currently working on their second album, and while the work progresses, they’ve shared this tune as a peak at what’s to come. 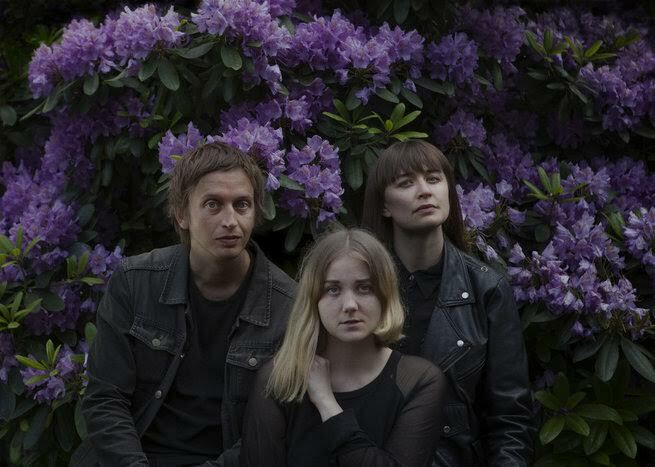 It’s an experiment in minimalist pop, offering little more than a single note and the powerful voice; it doesn’t need much more to carry the song’s natural beauty. As the track unfolds, tiny touches of strings and piano float in and out, creating a beautiful haunted atmosphere that will take you off into the ether. Looks like album number two is going to be pretty remarkable! Looking at the schedule, there’s tons of great acts gracing our town this week, and Tuesday night is no exception. You’ve got a couple of great traveling shows coming through, one featuring a great local act that you should keep your eyes on. Amen Dunes comes into town with Axxa/Abraxas in tow, which is likely to be a huge success for both bands. They’re both coming in support of recent 2014 releases, with AD celebrating Love, and Axxa performing their self-titled debut; that show takes place over at the Hotel Vegas. 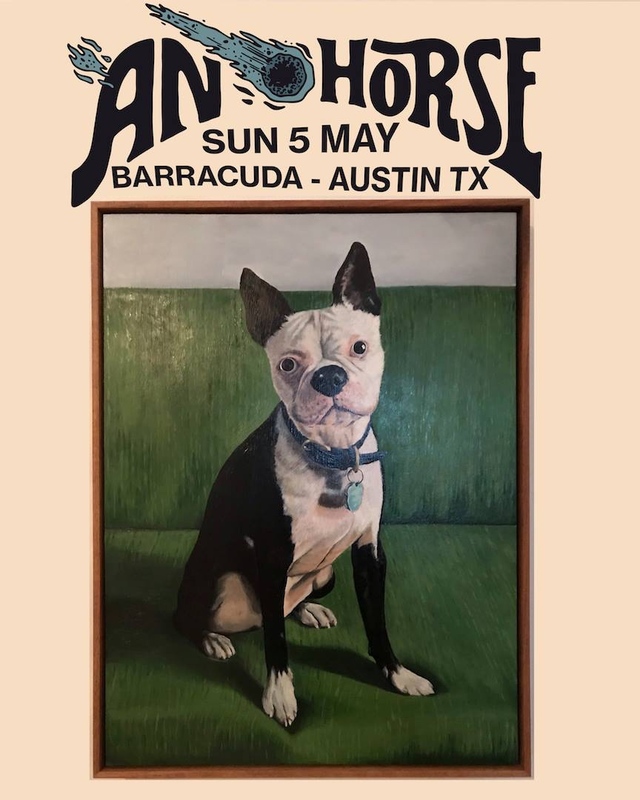 But, don’t sleep on Streets of Laredo, who’ll be headlining a gig at the Mohawk with one of our favorites, Reservations. Looks like a great evening for us all…so be sure to partake in the good music. Here’s a tune from Axxa/Abraxas to get you into the mood. 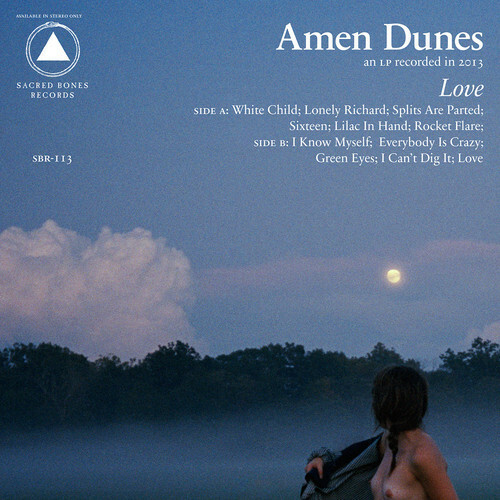 On their second album for Sacred Bones Records, a lot has been made about Amen Dunes employing various musicians to come in and help put the finishing touches on Love. In the end, all of that’s rather irrelevant, as the core of the songs are what standout the most. There’s a clarity to the songwriting, moving the band in more of a dark folk direction than they’ve employed before. “White Child” begins the record, and for five minutes immediately establishes the tone of the record. There’s a dark stomp on the drum, while a slight haze coats the vocal. And speaking of that vocal, there’s a nice stretch where the vocal is pushed to a rasp, again indicating a more folk appeal that survives on Love. And, it’s followed by one of my favorite tracks of the year, “Lonely Richard.” Taken in bits and pieces, this song might be grating to some, with it’s scratching string arrangements, seemingly placed sloppily atop the steady drumbeat and guitar parts. But, when used in unison, there’s this intoxicating effect that makes it hard to pull yourself away from the number; I love the chorus too. While I enjoy both tracks, they do wear you out almost immediately, collectively pushing over ten minutes on two tracks, then moving into the shorter numbers. Still, can Amen Dunes pack the same punch in a short span, as tracks 3, 4, 5, 6, 8, and 9 all fall in under 4 minutes, with some far shorter. “Lilac in Hand” is a perfect example of how the band can accomplish all their goals in a short moment. The piano often seems to work in contradiction to the light percussion and guitar chords, at least in tonal quality, but it’s that union once again that enables the listener to find themselves lost within the track. Similarly, the piano ballad, “Green Eyes,” is beautiful in its simplicity and immediacy. There’s two vocals parts here, one in a much deeper tone, giving a very solemn haunting to the track, as if that hollow sounding piano weren’t enough. But, just as you’re accustomed to the sadder side of the band, they throw a curveball, “I Can Dig It.” This song has a shuddering guitar chord and a rise and fall to it, but mostly it’s the spirit of the track that makes it stand out on the album; it’s the most energetic tune on the record, even when they burst off into harmonies while the guitar fades slightly into the background. For me, it was a nice touch after a sadder number, and it had me wishing there were perhaps one or two more tracks of this sort lurking throughout the album. Going through Love track by track wore me down a bit, honestly, but that’s not to say I didn’t enjoy the quality of the songs. I got lost a few times in the slow pace, which is why I enjoyed the placement of “I Can Dig It” so much. But, when you’ve got time to submit yourself to the will of carefully crafted songs, give yourself a chance to thoroughly enjoy this new LP from Amen Dunes. Damon McMahon’s Amen Dunes project is on a huge role right now. He’s prepping the release of his new record, Love, and it seems with each new single that he brings to the table, there’s something different going on in the music, yet it’s all pretty intoxicating. This jam starts all with a bit of a ramshackle opening, almost like a post-punk rocker, but then it unfolds into a more spiritual piece of noise folk. 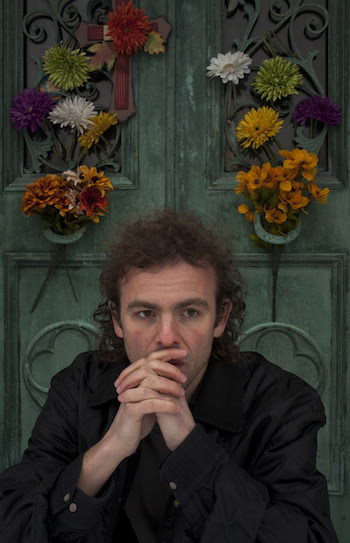 I like a little diverstiy in a good album, so when Sacred Bones releases Love on May 13th, we’re probably going to rejoice with how each song offers us something different. Feels like Thursdays always end up dragging on, and I guess I’ll help contribute to that by adding another mellow track to our list. This time it’s another new tune from Amen Dunes, who are preparing to release their album, Love. This tune hear has a really soft bit of instrumentation, with a vocal that is drawn out in a semi-drawl. Honestly, it’s a voice you might have to grow accustomed to, though I can similarities between it and the likes of Cave Singers and Devandra Banhart…both artists we adore. The album will be released on May 13th via Sacred Bones Records, and you’ll also be able to enjoy the video that accompanies this song HERE. 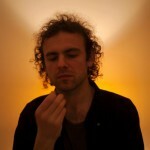 This track “Lonely Richard” from Amen Dunes has a great, haunting sound to it. I’d call it a dark, enchanting, singer-songwriter tune that could easily be compared to something from the early days of Sun Kil Moon. I’m cool with that. Though you won’t find much “rising action” in this track, the slow and steady beat throughout will beg you to hit play again when the song ends. You did it didn’t you? Pick up new album, Love, on May 13th via Sacred Bones. 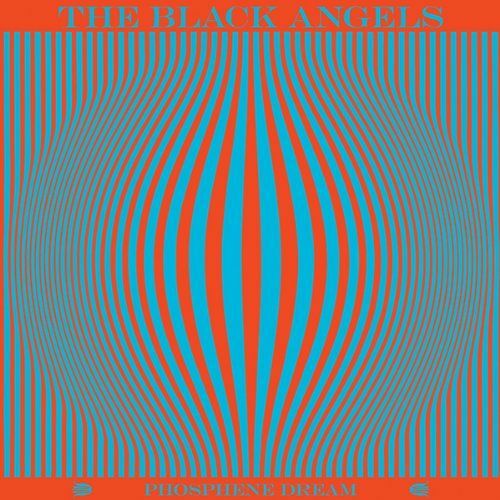 You’re probably reading about The Black Angels because you think you’re into psychedelia, but you know what, as much as the band seems to live up to the name in their own attitude, its about time we just focus on the music rather than stuffing it in some tired sack with the rest of the bands unfortunately labeled as such. Phosphene Dream sticks with the same pastiche the band’s utilized in the past, so don’t necessarily expect to find a whole lot of new territory covered, unless you’re looking for the ghost of Arhtur Lee. It’s always a brooding affair when you get involved with an Angel’s record, and right from the get go there’s this coating in feedback and atmospherics, probably the one that gets them tagged as psychedelic. It sounds like another run of the mill track for the band (not that that’s a bad thing), but with about a minute to go the band just jumps into this driving energetic trip down the highway, fueled by squalling guitar and heavy-handed drumming. A brilliant closing minute. But, of course, they’ve got to pay homage for a bit to their San Francisco brethren of the sixties, which means “Haunting at 1300 Mckinley” is going to show you that jangling guitar stomp covered with guttural vocal accompaniment. Maybe its par for the course, but its never bad with this group. 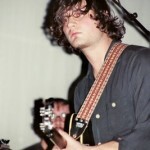 There’s some changes adrift for the group, but you think that The Black Angels could take it even further. “Sunday Afternoon” only gets tied into their typical sonic attributes with that little organ grinding in the background, not to mention the hollow effect of the vocal, but its one stepped up from being super stripped down. You’ll love that solo and the jam in the middle for its raucous power, but man, if they just got rid of all that noise, that could be ridiculous. Wait, they do get rid of it. Listen to “True Believers” and you’ll find the direction that seems most logical for the band following Phosphene Dream. Just because they peel back a few layers doesn’t make the track any less dangerous or ominous, especially if you use the closing moments as your measuring point. Perhaps you’ll even notice hints of Clutch, with an homage to Austin, of course, on “Entrance Song.” The throbbing bass builds the momentum, and while its a touch repetitive withe “rolling fast down I-35” lyric, there’s a bit of a haunting to this presence, perhaps one that can only be felt by those cruising down one of the most dangerous stretches of American highway. 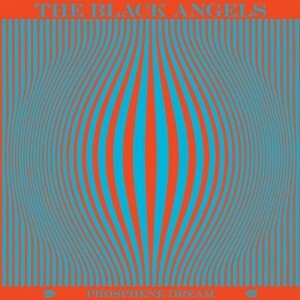 While it may seem like there’s some criticism for The Black Angels with this review, its far from that. They’ve been so successful with their efforts in the past, and dominated this dark sixties influenced rock scene, that it’s hard to find things to say that haven’t been thrown around hundreds of times. Personally, they sound a whole lot more like Love than 13th Floor Elevators, but that’s one man’s opinion. Phosphene Dream is going to be just as successful as their last effort, and perhaps the records in the future. They’re a great band with great songs. It’s just plain simple. For the past several years, interest has been building slowly behind the Austin trio, Harlem. They upped their own ante by signing to Matador Records for the release of their newest album, Hippies. 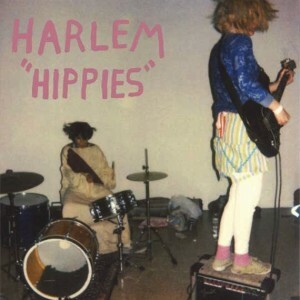 Behind years of playing whenever and wherever they could, honing their musical chops, Harlem have seemingly created one of the best works of the year (I was afraid to give it a 5 so as not to be accused of a homer). Entering the album, there’s about thirty seconds of a slight lull during “Someday Soon,” but as the song goes on, the pace quickens, going forward in a ramshackle truckload of fun. 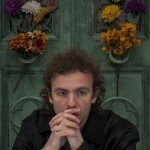 The final crashing chorus shows the nonchalant attitude of the band who are always energetically pursuing joy on stage. “Friendly Ghost” (not about a ghost) carries the same mentality, using jangling guitars and a pounding drum to get your foot tapping so hard you might lose it to the sheer enjoyment of the song alone. Destined to not just rely on lo-fi tendencies and madness, the group do give a nod to a little bit more of a classic rock n’ roll sound, as “Number One” highlights garage rock’s earlier days with gang vocals and certain tendency not to come across too polished. All the while, they maintain their incredible stomp, which may lead to some soreness in the neck after prolonged exposure to this record. “Be Your Baby” is in the exact same ball park, although it doesn’t sound anything at all like the song that precedes it. You will surely be exhausted already by this point, as no band can clearly keep up this blistering pace. They do. It’s like non-stop furious jangling chords and raucous percussion work. “Gay Human Bones” maintains the pace, and then you find a hint of Nirvana in “Torture Me” (that’s if you are to believe the band’s Myspace). 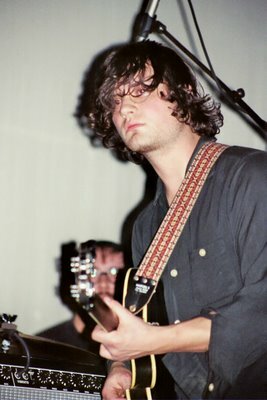 However, there is “Cloud Pleaser.” Rolling gently along for a minute or two, it gives all us listeners a chance to stretch and maybe grab a quick drink of water, but the band can’t stay away too long, ending the song on a faster note, albeit a slightly slower one, comparatively speaking. You won’t ever find anything dull, though some might say that there are some like-sounding songs, along the way to the end of the record. If you found the first half of the record touched by garage sounds and carefree recording, then you’ll be surprised that there is a dark psychedelia lying at the second half. “Prairie My Heart” has a darker soul to it than some of the previous number, leading you to believe that Harlem has more tricks up their sleeve. So they do, as “Pissed” clearly isn’t like many other things on the record, yet it fits right along the rest of the tracks. Personally, it just reminds me of Love if Arhtur Lee was a whole lot more “pissed”, and didn’t have that spectacular voice. Really, this record is fantastic. It moves along at such a quick pace that you have to go back several times to make sure you loved that one song as much as you did when you first heard it. Truth is, you will love it, possibly more so. Hard to find a bad song on this record that can’t stand on its own merit, which makes Hippies one of the best works to come out in 2010. Truth. This is Tim Presley of Darker My Love. He has a new project called White Fence, and this jam has been floating around all day, though I heard it just before SXSW. It’s got a real dark psychedelic feel to it, and though comparisons have been made to Love, it doesn’t have that same sexual power as Arthur Lee, it’s a solid brooding mess none the less. I think you’ll dig it. And if you do enjoy, look for an album in April on Woodsist.